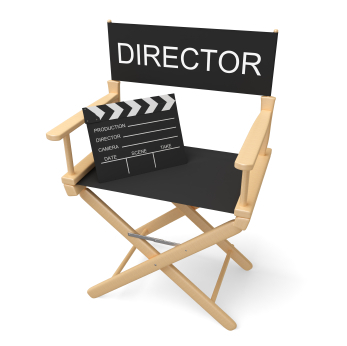 Decisions on acting, cinematography and editing are the main provinces of the director. And rightly so, because those decisions, good or bad, many or few, are what distinguishes the kind of film we see from one director to the next. Still, as important as those decisions are, the director has no decision to make without a script. Of course, no one needs to be convinced of the importance of the script since that is where it all begins. The screenwriter writes, rewrites, polishes and submits the script to the producer and director or produces and directs it herself. As soon as the actual production of it is imminent, practical considerations like budgets, schedules, rehearsals, set and prop designs, etc. come to the fore which affect the kind of film the script will become. But more important than even those, I think, are the considerations of aesthetics and visualizations that the director undertakes before and while the other practical considerations are taking place. Although without the script you have nothing, at the end of the day it's just a work of literature. It's the director's job to translate and transform that written piece into a visual piece. Doing so means making all kinds of crucial and mundane decisions that might even change the script. Nevertheless, there are 7 important artistic decisions practically every director is faced with when it comes to translating a script from the written medium to the visual medium. Will you actually begin at the beginning of the script or begin in the middle during a climactic moment and then bring it back to explain the earlier happenings? How much detail should you show the audience via shots, sounds and dialogue concerning the characters, props and actions described in the script? Since most scripts are usually bare in descriptions, the director has a range of choices from using minimal, austere and low budget shooting methods to bombastic, larger-than-life and big budget shooting methods (and anything else in between). Ideally, you will choose one that serves the story best and incorporates your unique style and sensibilities too. How much description of setting shot- and dialogue-wise is necessary and where should you stop or slow the narrative to insert it? For ex. the script might have a one sentence description of a setting; "A small town that captures the essence of 50s Americana." The decisions are bountiful; one director can choose to use a long shot to show us the town, another might choose to do a slow montage of the people, storefronts, vehicles, etc. to give us the essence of the setting and another might just begin in an interior and let us infer the rest. Do you really need all that exposition of motives, backstory and setting or can you trust the audience's intelligence to "get it?" If you do need the exposition, when and where will you use it? Can you do without the subplots or artful/suspenseful/sexual/comedic digressions? Should you hold back or push forward even more details than what the script calls for to generate more suspense, fear, climax, tears, tension or laughs? Although the director's job is a difficult one, not every director will go through this kind of exhaustive decision-making process. A few directors will be lucky to have or write a strong script that lays everything out perfectly. Or some directors are just there to collect a paycheck in the most effortless way possible. 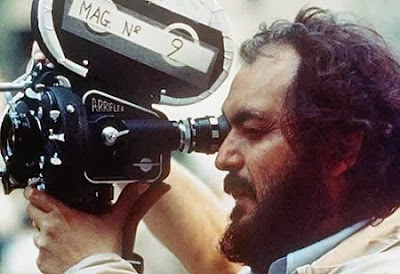 But for those directors who truly want to engage with their script and extract the most visual possibilities out of it, many, if not all, of these decisions must be made. For more articles like this directly to your email as soon as it's published, please subscribe. Enter your email address in the top left box above.